When you stay at Z NYC Hotel in Long Island City, you'll be in the business district and convenient to United Nations Headquarters and Chrysler Building. This 4-star hotel is convenient to Grand Central Terminal. Make yourself at home in one of the 100 air-conditioned rooms featuring iPod docking stations and LCD televisions. Your pillowtop bed comes with Egyptian cotton sheets. Complimentary wireless Internet access keeps you connected, and cable programming is available for your entertainment. Private bathrooms with showers feature rainfall showerheads and designer toiletries. Pamper yourself with onsite massages or take in the view from a rooftop terrace. This Art Deco hotel also features complimentary wireless Internet access, wedding services, and a television in a common area. 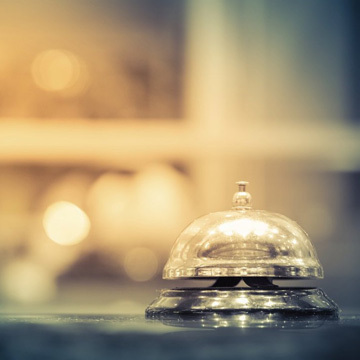 Featured amenities include a 24-hour business center, limo/town car service, and dry cleaning/laundry services. 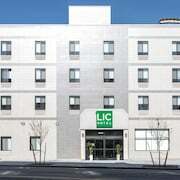 Planning an event in Long Island City? This hotel has facilities measuring 495 square feet (46 square meters), including a meeting room.